What Can JaniExpress Do For You? Home » Newsletters » What Can JaniExpress Do For You? You ask, what can our janitorial company do for your facility that other companies can’t do? JaniExpress can provide you with a clean, safe, and healthy environment for your customers and employees. Clean buildings present a first class image. Clean buildings improve the longevity of the building. Healthy buildings ensure a working environment free from contaminates. JaniExpress can improve employee morale. Clean buildings are proved to increase employee productivity. Employees who work in a clean building are happier- and happy employees means reduced turnover. JaniExpress can reduce costs and increases revenue. Clean buildings are less expensive to maintain. Clean buildings help to increase tenant satisfaction and reduce tenant turnover. JaniExpress can offer you a full-service partnership for all your building maintenance needs. With our service, you’ll no longer have to worry about restroom and cleaning supplies and equipment, because we manage it all for you and provide our own supplies and equipment. We provide quick response to your needs and offer specialized cleaning services such as carpet spotting, carpet cleaning, hard floor care, window washing, and construction clean up. Our operation is fully automated. We track sales and costs of each building in order to measure productivity and efficiency. Professional memberships and subscriptions. 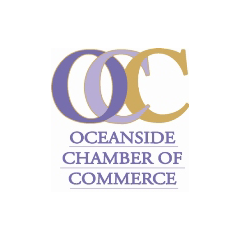 Our membership in The Janitorial Store, Carlsbad Chamber of Commerce, Oceanside Chamber of Commerce, and MBE Cenrtificate demonstrates our professional commitment to quality. We are a professional firm in the business of contract cleaning and our memberships help us to stay on top of the industry. We are kept up to date on professional cleaning techniques, personnel issues, and especially ways to cut customer’s expense, and much more. Our memberships give us a competitive edge so that we can bring you the quality and service that you deserve and ultimately expect.